Are you an angel? If so, this embroidered sew-on patch will let the world know! 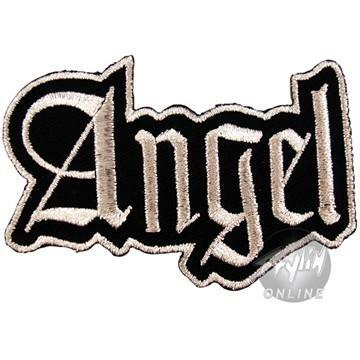 The Angel Name Patch is black, with the word "Angel" in silver letters on a black background with silver borders. You'll enjoy this Angel patch whether you're an angel or you just like angels. Or you can give it to your favorite angel!